If you wish to help the flood affected people in Kerala and if you have not yet helped them, kindly donate. You can transfer/deposit any amount you wish, to the account details given here. Kindly call Finance officer Fr Mathew(Mob.9447415515) or send an sms or e-mail (financeofficer.mount@gmail.com) after depositing the amount. 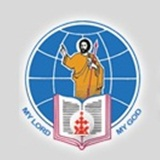 Syro-Malabar Church will make use of the amount through the proper channel. Name of Bank: The South Indian Bank Ltd.
NB: Please be kind enough to note that any money transfer from outside India must be to Federal Bank A/c and transfer from inside India must be to south Indian Bank only. Use the below link for the bank details. Kindly share the link with the maximum number of people.